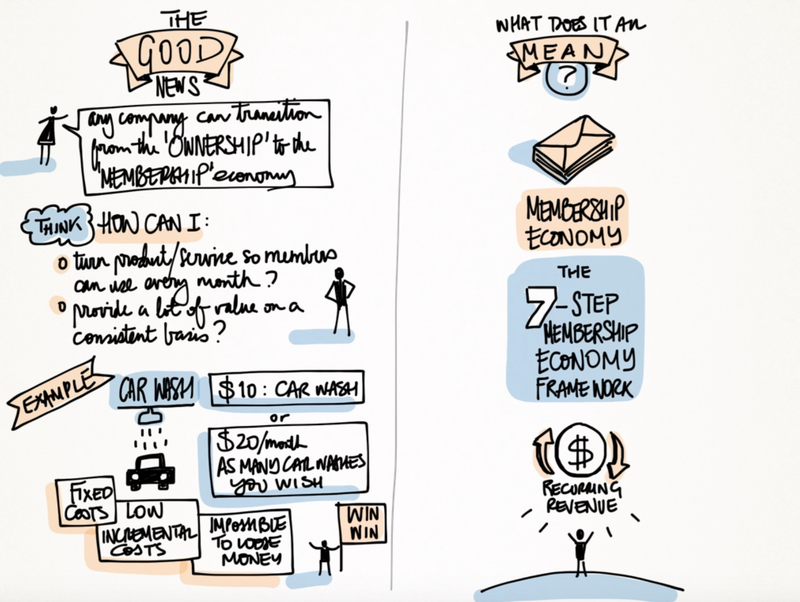 Read & Digest “The Membership Economy” in 3 minutes. Subscribe at www.bookvideoclub.com to receive our next book video summary! 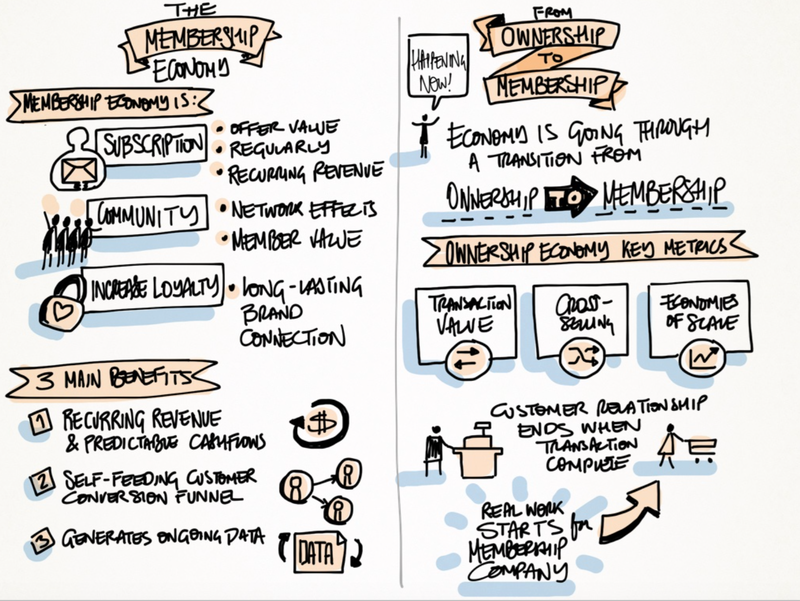 The Membership Economy… find your super-users, master the ‘forever’ transaction, and build recurring revenue. By Robbie Kellman Baxter, originally a Silicon Valley product marketer, and later a consultant to companies ranging from venture-backed startups to SurveyMonkey, Netflix, and Yahoo! About 10 years ago, the author started working with Netflix and fell in love with its subscription model, which was disruptive at the time and led to the bankruptcy of movie-rental store chains. Since then, she has gone on to advise dozens of companies on their subscription and community businesses, and believes that the Membership Economy is the equivalent of the modern-age Industrial Revolution. First, we need to define the term “membership” economy and why we should care. Then, we can clarify what the impending transition from Ownership to Membership entails. And finally, we can examine how this transition could work. But why should companies care about membership? · and it generates ongoing data that help a company refine its tactics and constantly learn about its customers. It’s happening right now! 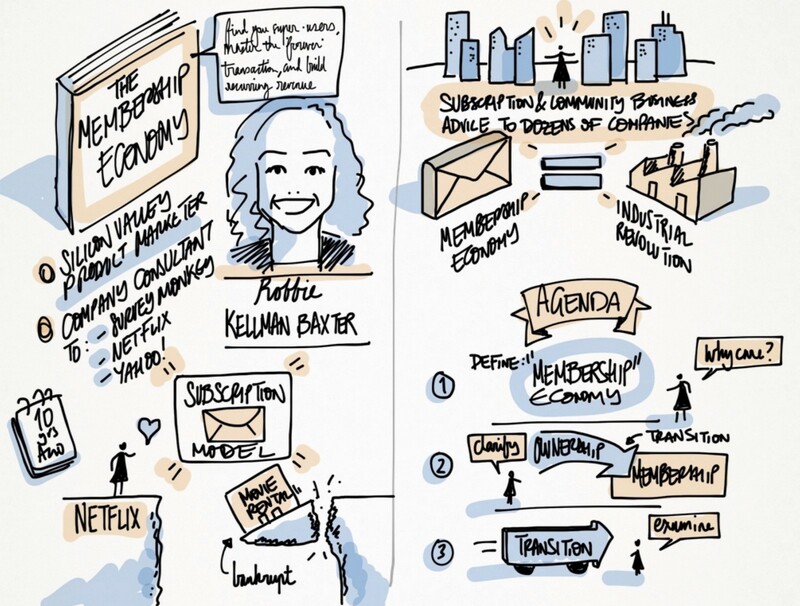 Our economy is going through a transition from Ownership to Membership. The key metrics in the Ownership economy are ‘transaction value’… ‘cross-selling’… and ‘economies of scale’. The relationship with a customer ends when a transaction is complete. In contrast, that’s when the real work starts for a membership company. Paradoxically, one big problem with the Ownership model is rooted in the declining costs of starting a business. The result is that everyone can set up a website and fight for customers’ attention, effectively sending customer acquisition costs through the roof. The solution is to focus on ‘retention rate’ and ‘customer lifetime value’ — the key metrics in the Membership economy. The ultimate goal is to keep customers for life, which is why Membership is about mastering the ‘forever’ transaction. Netflix is a great example of this transition. Before Netflix, movie rentals were effectively a one-off transaction. There was no recurring revenue model and companies were trying to extract as much payment as possible per transaction. 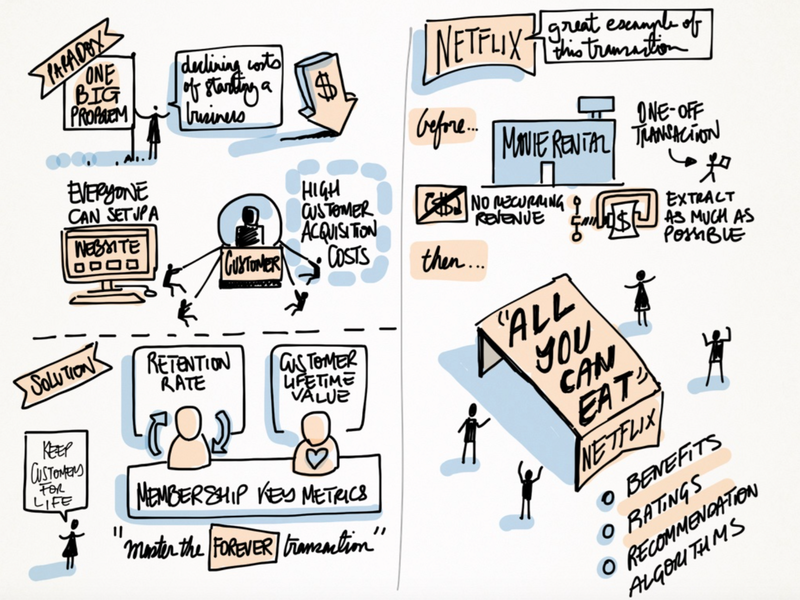 The Netflix came along and provided customers with “all you can eat” benefits, ratings, and recommendation algorithms. The good news is that nearly any company can transition from the ‘ownership’ to the ‘membership’ economy. Think: how can I turn my product or service into something that my members will use every month… how can I provide a lot of value on a consistent basis? For example, car washes are making this transition: you can pay $10 for a car wash and come back whenever you need another wash. Or you can pay $20 per month and have as many car washes as you wish! This works because car washes have high fixed costs, and the incremental cost of a wash is very low. It would be practically impossible for a car wash to lose money in this arrangement, unless perhaps if all its member-customers came for a wash on a daily basis! And on the other hand, car owners get a lot of perceived value — it’s a win-win! What does this all mean? 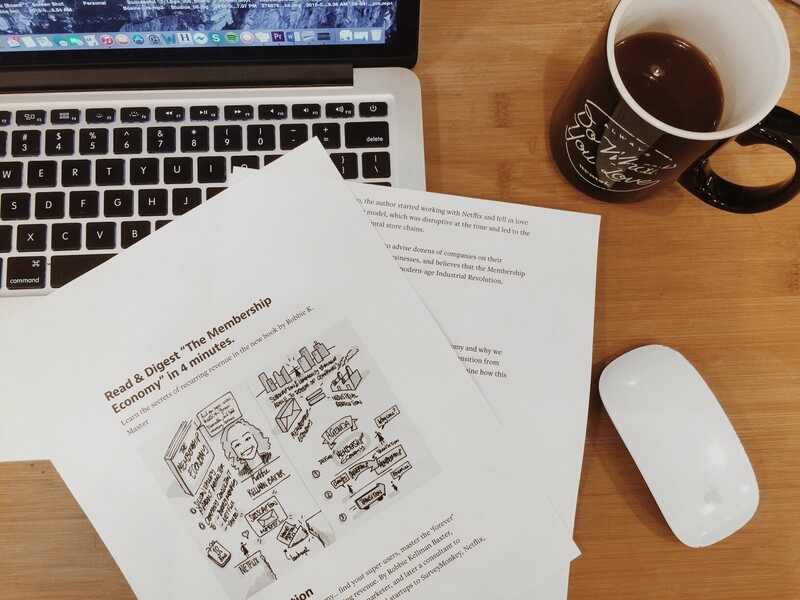 The book makes a strong case for the Membership economy and presents a 7-step framework for companies to transition from Ownership to Membership [the 7-step Membership Economy Framework]. If you’re after the holy grail of recurring revenue… this book can be your guide. Produced in downtown Manhattan by the Board Studios lab team. If you found this article useful, could you hit the recommend button below so that others can benefit from it, too? Thanks!